Everyone remembers the Death Star and how it was supposed to be the most potent superweapon in the Star Wars-verse. Then in the Expanded Universe, they needed to add tension to the series since the Emperor was gone and kept pumping out new superweapons to the point where it became crazy. This ultimately cheapened the effect the original Death Star had by trying to one-up it in every book. In many stories, it's hard to find a way to keep a series interesting after killing the Big Bad because everything was leading up to that confrontation. How do you prevent the story from getting stale after killing off the main villain? Not better, or more powerful just different. So in many superhero movies, especially before the genre got better, by the 3rd movie it was all about cramming in as many villains as possible. Take Spiderman 3 for example. Ugh. But the Dark Knight franchise does it right--it's less about that and more about the unique challenges each villain brings and the themes interwoven throughout. And there's cause and effect. You kill off the big bad? Ok, well, what happens when there's a power vacuum? What did the big bad have in place if he died? Ask questions about the original narrative--who loses that's on the fringes? In Iron Man 2, you've got villains who aren't more powerful than the ones in Iron Man 1. They're just different. (Let's not talk about Iron Man 3, because that one wasn't as narratively strong). Iron Man 1's big bad was ultimately Stain or Warmonger, but even knowing that he was the hand behind it all was a problem. He died, but that didn't prevent Iron Man 2 from being awesome. And Iron Man 2 was about a villian that came from the actions of Tony's father, and his father's legacy. Straight villains aren't always the way to go. Take, for example, Marvel's Civil War. Who or what is the antagonist there? One thing that you can do is make the villain an organization. Like Hydra. Cut off one head, yadda yadda...with the second Captain America, this is explored, and to the hero's horror, the very organization he had served (S.H.I.E.L.D.) had harbored this corruption. Events from this movie directly tie in with Caps unwillingness to be beholden to a government. Just like events from age of Ultron shaped Tony's opposite view. The most interesting thing is that before those events it's pretty likely that Tony would not have ever agreed to restrictions like that (and he testifies before congress on those views in IronMan 2) and Cap, whose entire thing was trusting the chain of command as a soldier would have been more likely to bow to those restrictions before Winter Solider reversed those views. Point being, that it isn't impossible to do, and there are lots of examples, especially within the Marvel franchise. While they do escalate power level for Avengers 3, in the meantime, they've told lots of different, engaging stories with the same characters that have been excellent. It sounds like you plot a series. For those, from the beginning your intent should be to defeat a new villain in each story, and they should be (as Erin Thursby said before me) of similar power but in different colors, with different personalities, etc. That happened in Buffy The Vampire Slayer, every season Buffy gets one new villain to conquer. The arc concerning the villain is very much the same; but the arcs for her and her team are different and advanced each season. Romances emerge, friends are taken, etc. Although the villain provides the adrenalin for each season, the whole series is about these heroes (and their acquaintances) living their lives, falling in or out of love, suffering losses and moving on. i.e. some new MC can be introduced, another can die or leave to pursue a more peaceful life, or different life. 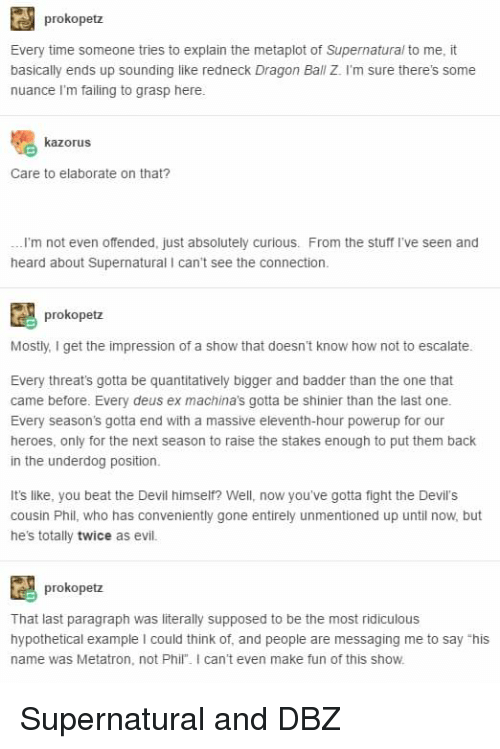 Or start a spin-off, Angel! So the series could be character-driven, but each season is plotted around the villain du jour. An alternative of course is just clever new villains. 007 is pretty much a static character that doesn't grow or evolve; but every new movie has another villain with another plot to take over or destroy the world. They are all equally powerful, the plot skeleton of each movie is nearly identical, but the writers invent new gadgets, locales, femme fatals, talents, fight scenes, etc to keep us watching. If Not a Series: Consequences. Within a single story (a single book, a single movie), if you wish to escalate after disposing of the villain, the next phase is to design dire consequences for having disposed of the villain. A woman fighting a wealthy and abusive husband could finally kill him, but then face trial for his murder against a smart and ruthless prosecutor, that truly thinks she did it for the fortune she will inherit, and you make it look like she could end up in prison for life (echoing the "prison" and abuse she was already suffering). You need an "Out of the Frying Pan, Into the Fire" development. There are many ways you can go with a series after the Big Bad is defeated. Was that in fact the Big Bad? Or were they in fact a servant of an Even Bigger Bad? Perhaps they were, in some way, a victim of the Even Bigger Bad, manipulated some way into doing what they did? What are the consequences of destroying the Big Bad? What factions use the power vacuum to rise? If you've just removed the head of an Evil Empire, who rules it now, preventing it from descending into chaos? What happens to your side, now that there's no enemy to fight? Does the group break up? Are there conflicts to be found there? Perhaps someone from within the group becomes so extreme as to be the next Big Bad? Perhaps (as others have pointed out) there's a different kind of Big Bad? Consider the real-life example of the French Revolution: the Big Bad King got guillotined, the Bastille was taken down. Next Big Bad: Robespierre, and the Reign of Terror. Or the Russian Revolution: instead of incompetent Tzar Nikolai II, there's scary Stalin. Both those examples are in fact at the same time different Big Bads from their predecessors, and the consequence of defeating the previous Big Bad. And they used to be on the side that took down the previous Big Bad. Some circumstances might also warrant de-powering your characters to some extent. To use the RL example above, both Robespiere's friends and Stalin's, found themselves in a rather precarious position post-revolution. A mere few years after the revolution, they did not wield as much power as could be expected from the ringleaders of a successful revolution. In fact, they had good reason to fear for their lives. If you de-power your hero, the new Big Bad doesn't need to be significantly more powerful than the previous Big Bad to pose a sufficient challenge to the hero. This is where all the effort you put into character development pays off. During the first adventure, your protagonist slowly transformed from a downtrodden underdog into a big-bad defeating hero, acquiring the skills and insights necessary to turn the tables on an initially invincible foe. Along the way, they hopefully matured a little and came to understand that the world is not as simple as their younger, more naive self believed. If you have handled this growth properly, your character (and potentially your readers) are now ready for the next adventure. And that adventure starts with a new world view. Now in the peace that momentarily grows out of the climax, your character can ask some questions that wouldn't have occurred to their younger, less victorious self. Why did the big bad want the power in the first place? Could it have been to protect everyone from something even worse? Could an occupied throne (even with big bad in charge) be better than the civil war which must now occur (again!)? Are the horrible tyrannies which first motivated the hero into action, actually necessary regardless of who is on the throne? Are they perhaps the least evil option available? When the rose tinted glasses of youth are torn from your hero's eyes through their own success, are they ready for the real world which might be waiting? Exploring the disenchantment which follows victory is not the high-action adventure of taking on big-bad, but it is a golden opportunity to evolve your characters from paper-thin plot servants into fully fleshed out people who happen to live on a page. Taking them through the pain of winning will help make them real in a way that simple victory never could. And once you have completed that transformation, you have something new and rare and precious. You have characters that your readers believe in, care about and recognize in all their strengths and frailties. With those characters at your disposal, the third book is going to be a breeze to write! As you noted in your answer, the common approach to doing this is to just introduce another villain, or another threat, and keep doing that as necessary. The trick is to balance it in such a way that you don't cheapen the previous threats, and at the same time, you leave yourself room for further escalation in the future. One concept I've found handy in this regard is "breather arcs" - arcs where you deliberately de-escalate the threat level and give the audience (and the characters) some time to relax and take stock, before ramping things back up again. That way you're not just constantly ramping the threat level up and up and up until things get silly. Another thing to watch out for - and that's mentioned in the image linked above - is to make sure your new threats are introduced in a believable manner. If the previous villain's defeat is followed by the sudden emergence of a new villain, who's ten times as powerful but has somehow never been seen or mentioned before, readers are gonna think, "Wait, where did this guy come from? Where's he been all this time?" Make sure your new threat fits into your story and your world properly, and isn't just clumsily shoehorned in for the sake of having a new threat. The Big Bad, by definition, is the primary antagonist of a story built around the defeat of a primary antagonist. If defeating the Big Bad isn't the end of the story, then either that person wasn't the Big Bad or this isn't actually a Big Bad story. That doesn't mean it might not look like one. Both Black Panther and The Last Jedi use variations on this effectively. In each movie, the figure who initially presents as a stereotypical "Big Bad" is displaced as primary antagonist by a more ambiguous, nuanced, and ultimately more threatening villain. A direct threat of force and power is replaced by a new threat that targets the hero at a more emotional level. That George Lucas made up the lie of the nine episodes to keep milking his cash cow isn't storytelling. It is business. One way to do it is to write a novel that doesn't have the big bad as a crutch, or the sole instigator of conflict. Perhaps the consequences of the big bad's actions, like a long-standing distrust between previously-heroic characters, fuels a brand new conflict. Maybe the world the story is set in is just... flawed, like ours, where foiling a big bad doesn't suddenly fix everything Fisher-King style. I'm going to do a naughty thing and use my recently-finished story as an example of a big-badless story. Here, there are multiple instigators of conflict, but the main arcs to resolve are the primary protagonist's feeling of belonging in the world and sense of purpose (as she's a neglected young woman who doesn't know who her father is, and whose mother technically provides for her without caring a mite about her well-being) and the deuteragonist's finding a balance between planning and winging it, as well as balancing stoicism and gentleness as a man (and how to be a fatherly figure in general). The protagonist's mother, who is both enemies with the deuteragonist (who needs to negotiate a diplomatic relationship with her) and is the cause of the protagonist's numerous attention-seeking issues. The protagonist herself, who runs away from home to try and get to the deuteragonist's home, believing (perhaps correctly) that her mother wouldn't let him take her off her hands. This leads to her mother and the deuteragonist's enmity increasing and kicks off his plot (trying to find her and bring her home). The deuteragonist's boss, who sent him to try and mend relationships with the protagonist's mother only to find she now hates him and their organisation even more. Tells him that if he doesn't find the protagonist, she'll send her mother his head to prevent a war. The jianshi, a set of people corrupted by a magical symbiote. These are closer to a 'natural hazard'; they exist before the story and continue to exist after, but their existence drives multiple tense scenes and conflicts between characters, especially when they start showing up on a usually-safe merchants' road. The 'thread' in general, the magical symbiote which corrupts its host in unpredictable ways. Powerful hosts can use their powers for good or evil, but with enough overuse or emotional instability, the thread will fully corrupt them, turning their bodies into mindless, powerful beasts and trapping their minds in an escapist, happy fantasy. The corrupt guards of Midori Sora; thanks to them extorting the unwitting smuggler of the protagonist (assuming them to be a child trafficker) instead of arresting him, they perpetuate her 'lostness' and later on prove an obstacle to the deuteragonist by being evasive about the girl they've clearly seen before. Hideki, another thread host and Velzha's mentor. While heroic and morally upright, the death of his brother twists him into a monster due to his thread, making him the major immediate threat in the climax. One of the deuteragonist's spies, who secretly loves him (or is infatuated with him). As he falls in love with someone else in his group, she resorts to increasingly desperate measures before eventually, the deuteragonist has to make a choice over whether to kill her following her murder attempt on his lover. The family that takes the protagonist in on her travels. Once the deuteragonist finds the protagonist (and needs to take her home to prevent war and save his own life), the protagonist then has to choose between her happiness with her new family or the responsible choice to help out a home she no longer cares about. The Sovereign, the God of Selfishness, who empowers both destructive and constructive people, and encourages individual growth in all people. Part of both Velzha and the deuteragonist's motives. As you can see, with a variety of causes for conflict, none of them particularly competing for prominence (Velzha and Hideki are the major sources, the rest simply occur along the way as a system/unchanging facet of life or act as a jump-start/bookend pair), you start to get a miniature, functioning world where there is no core 'big bad' whose erasure magically fixes everything. Once Hideki's fallen form is put down, are there still issues? Yes, the deuteragnoist has to deal with how he has to take the protagonist away from her loving adoptive family, and the protagonist has to deal with losing them should she make the responsible choice. When she gets home, the war may be nullified, but she still has to confront her neglectful mother and call her out when she inevitably tries to dodge any responsibility for driving her to running away, et cetera. Having a world with multiple small problems not only feels more realistic, it also ensures that no matter what, these characters always feel like they have something to 'work against', giving the illusion that their lives will continue to be interesting and nuanced even after the story ends. It may seem like cramming a bunch of villains into one story as Erin alludes to, but these instigators of plot needn't be flashy or take up an obstructive amount of the plot; just enough to remind the reader that yes, these are an obstacle and conflict will always exist. Not the answer you're looking for? Browse other questions tagged creative-writing technique storyline or ask your own question. Is this story worth publishing? How do you effectively develop a plot when you have a proper back story? Is there a coherence problem in my story? How to stay motivated while writing a story, after the initial burst of enthusiasm? What are the steps/plot-points of the Sequel Story? Is “How to” killing creative writing? When do I successfully kill off an important secondary main character… in a series of five books?